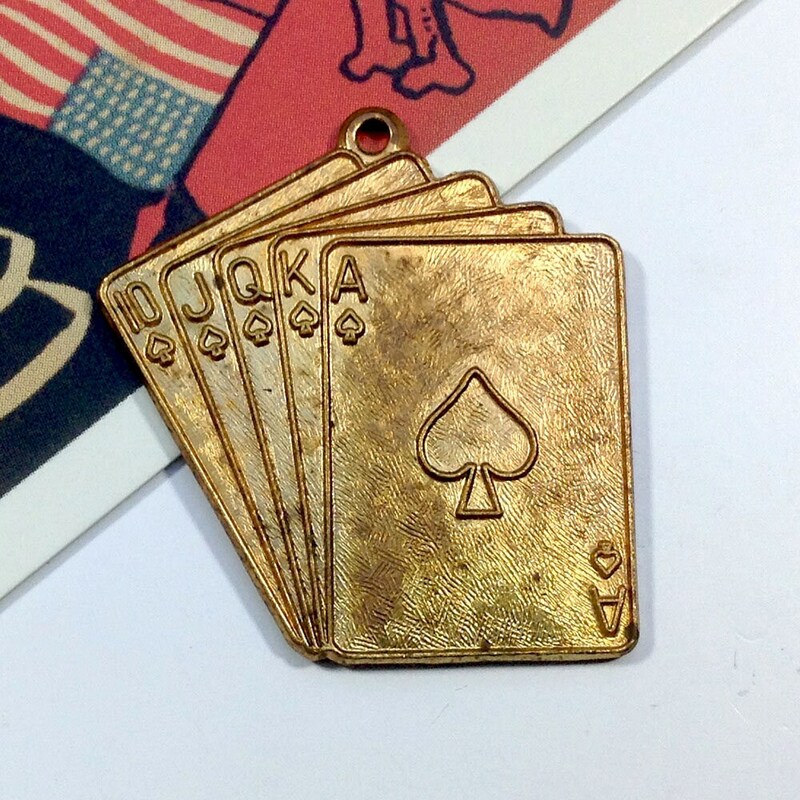 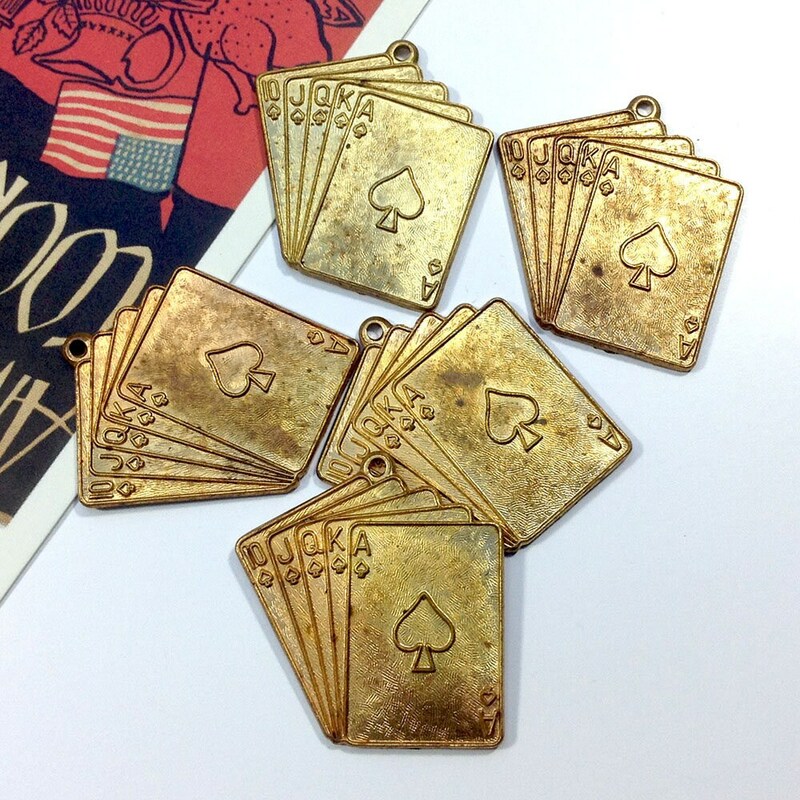 Vintage brass pendant / large charm in the design of a hand of cards with the Ace of Spades at the front. 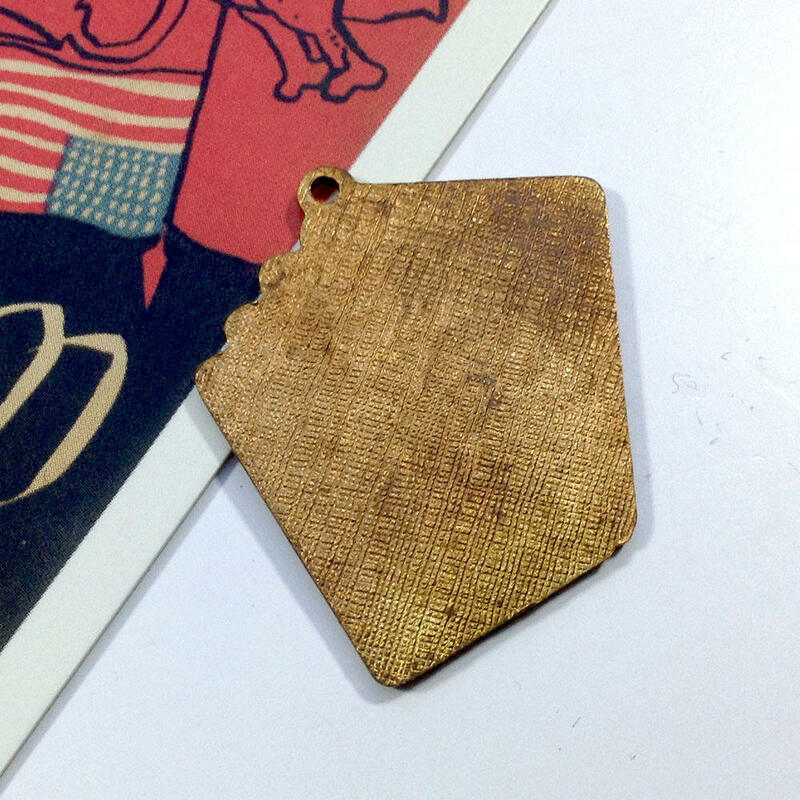 This charm is made from excellent quality, thick, USA made raw brass in the 1960s. 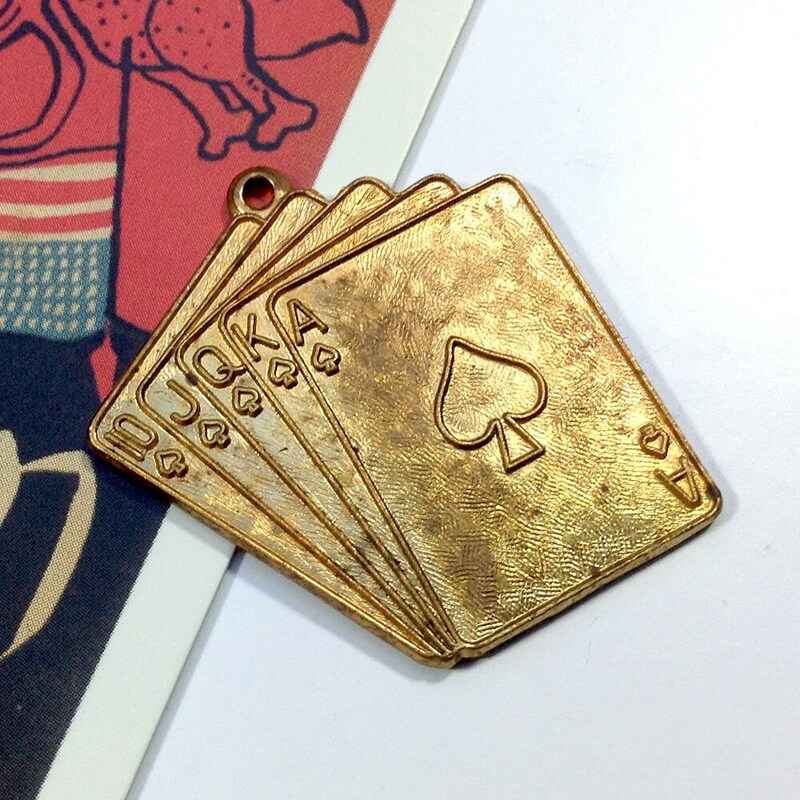 The charm shows a 10, J, Q, K and Ace of Spades which is a 'Royal Flush' - surely a winning hand in poker! 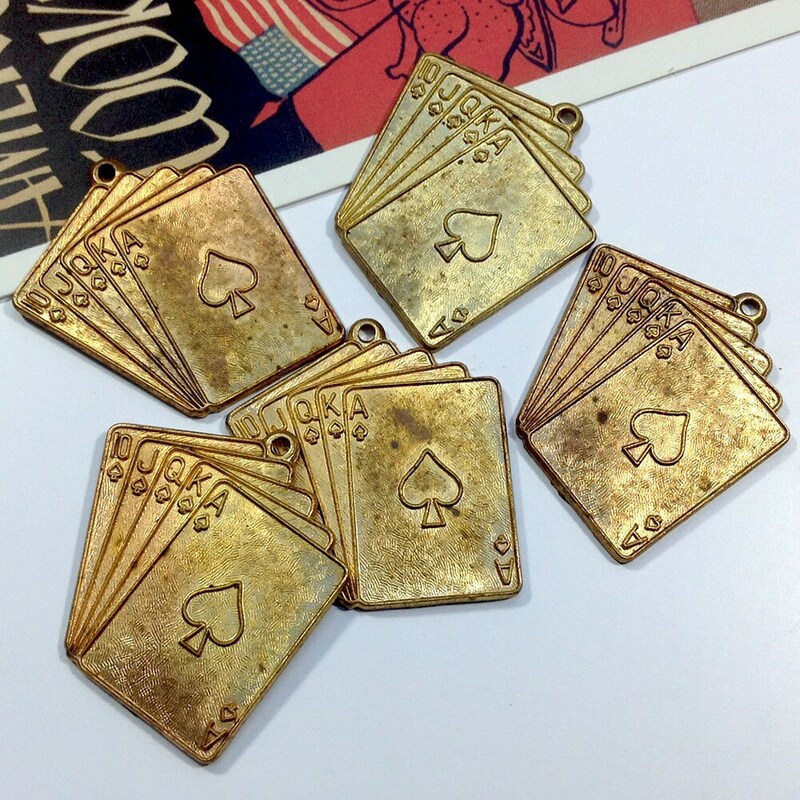 The charm shows definite patina and spots of age / verdigris as it is genuinely vintage. 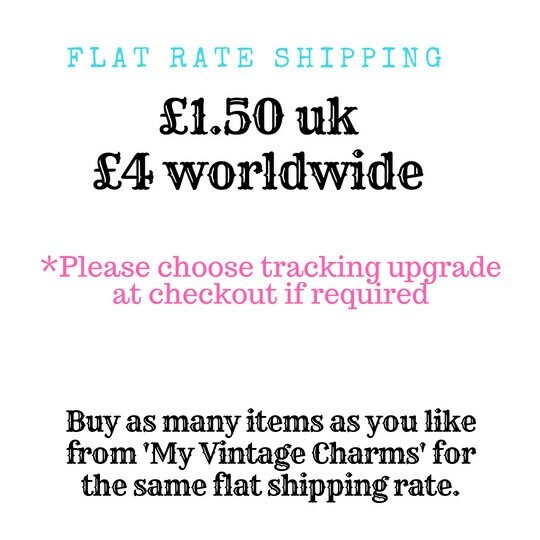 Not for those who prefer bright, shiny charms, this does look old and aged.